day based on a group of six. Hendra is a delightful, newly converted barn near Newquay and Truro, situated overlooking duck lakes and Cornish fields. Host Ken Evans takes great pride in providing a good-value, great-fun, shooting house party. 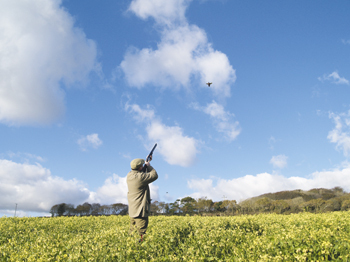 Driven-shooting breaks for pheasants, partridges and duck, with some woodcock and snipe, can be combined with cookery courses, and coarse-fishing has just been introduced.